There is a new crypto exchange in Venezuela called Interbanex. The rate of fiat currencies on the trading platform is formed by market situation and reflects the real supply and demand. Interbanex provides exchange services only to individuals. 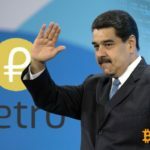 The exchange obtained a work permit from the Central Bank of Venezuela and launched the service on January 28. On the very first day of trading, the local currency rate of the sovereign Bolivar fell by 35%.However, on the official Dicom exchange, the dollar is 34.9% less than Interbanex (2,081 bolivars against 3,200 bolivars). 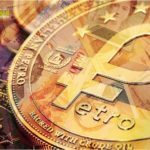 In 2018, the Venezuelan government launched the national cryptocurrency Petro, there are 2 national currencies in the country now such as Petro and Sovereign Bolivar. 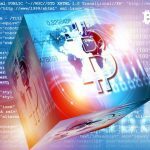 However, the creation of a digital asset did not help solve existing problems: GDP continues to fall, the rate of fiat currency is subject to hyperinflation. Locals blame the government and President Maduro for the collapse of the national economy. The country ranks first in the world in terms of oil reserves, however, about half of the population is below the poverty line. 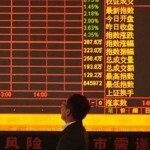 The economic crisis eventually led to a political split. There is a dual power in Venezuela: the current president Nicholas Maduro continues to govern the country officially, but the leader of the parliamentary opposition, Juan Guaydo, proclaimed himself the acting president and demanded to hold extraordinary elections. Guaido was supported by the USA, Canada, as well as several countries in South America and Europe. Maduro was supported by Russia, Cuba, Mexico, Uruguay, China, Turkey, Iran. The Russian authorities have invested $ 17 billion in the Venezuelan economy, therefore it is in their interest to keep the current political regime in Venezuela. Russian Prime Minister Dmitry Medvedev has condemned on Twitter the actions of the opposition and, in particular, of Guaido However, does anyone have the right to condemn people who literally swell from hunger? © 2018 bit.news | queries 231, for 0.240 sec.